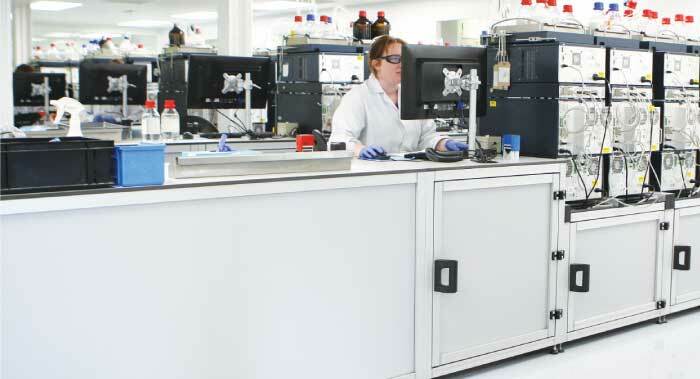 Our cabinets are often used to store tooling or equipment that needs to be contained yet accessible particularly in medical or pharmaceutical environments. 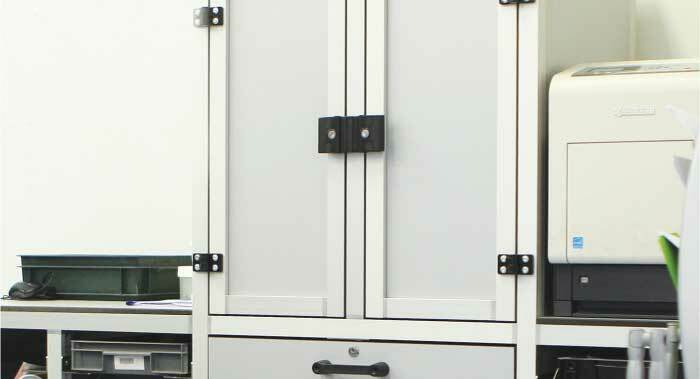 If contamination is an issue, we can offer sealed units where your product is protected from dust. We give the option for the unit to be locked by integrating one of our slam latches into the design and providing a set of matching keys. 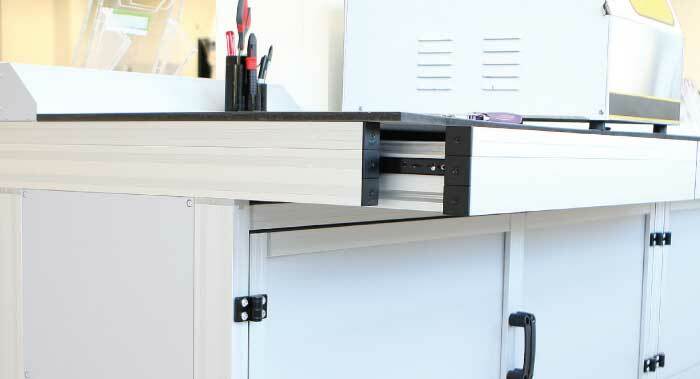 We can also provide a lighting system using LED strips fixed inconspicuously within the cabinet. Each unit can be customized to allow for as many shelves as required with the option to have these made adjustable for varying heights. 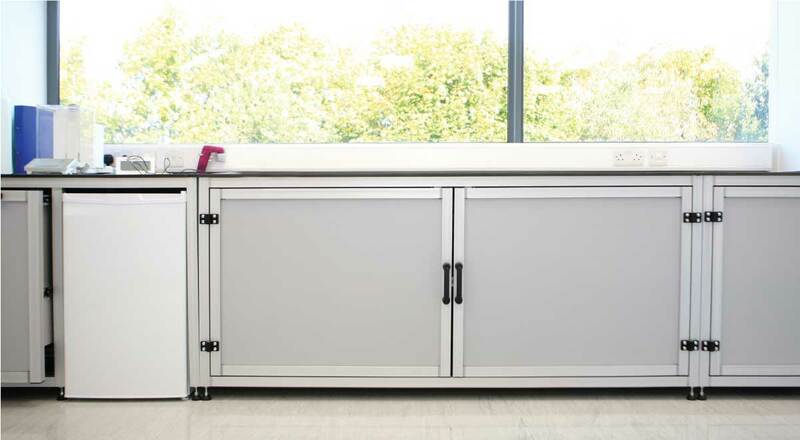 The superior overall stability of these cabinets is made possible thanks to levelling feet that use a simple screw-in mechanism for complete control. The beauty of working with our profile system is that we can create what you need so that it fits seamlessly into how you like to work. Your cabinets can be customised in terms of finish and look. Front panels can be transparent, grey / silver or you can choose from a range of colours to suit your organisations’ branding. 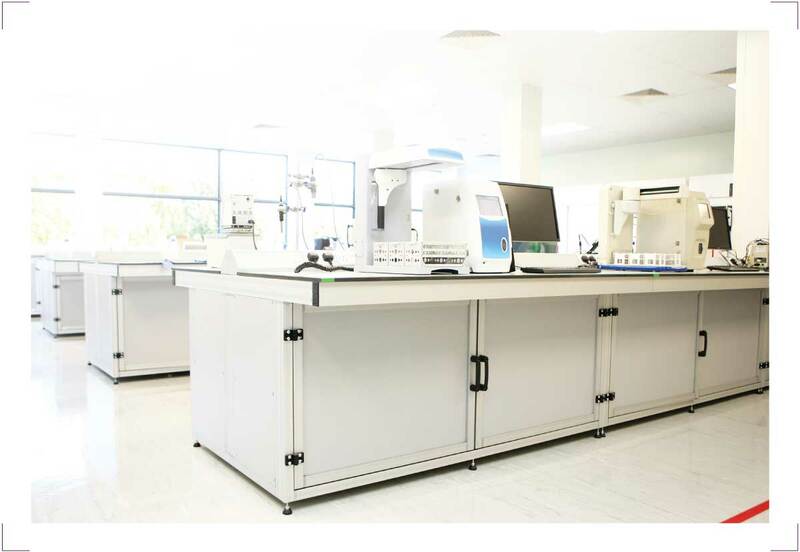 The skeleton frame can be built with closed aluminium profile or standard profile with a slot fill. Want to speak to someone about your Cabinets?